Die casting is a casting method by injecting molten aluminum under high pressure into mold cavity, which involves no separate parts welded or fastened together. This means the EC4 has the highest level of structural integrity. With the head and the tube being an integral whole, EC4GT consists of two parts: the body and the rear lock, a unibody construction. The most incredible thing about the die-cast unibody construction is that it gives EC4GT the best heat sink that you could imagine in a flashlight. The seamless structure ensures heat generated by the working LED is delivered evenly and rapidly to the overall surface. The cooling fins engineered in a vertical direction (a novel and ingenious design) ensure the EC4 has a larger cooling exterior. 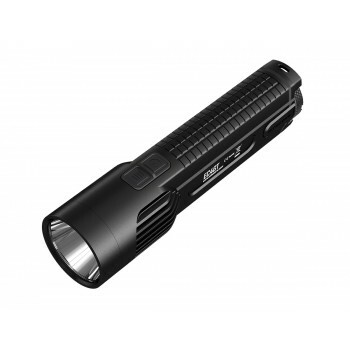 You can use this light in high output for long hours without burning your hands. It’s warm, but never hot. In fact, it feels so comfortable that you can use it as a hand warmer in cold weather. The die-cast unibody construction of EC4GT needs no redundant elements except for the glass, LED, reflector, regulation circuit board and the rear lock. There is no battery compartment or fasteners between the head and the tube. This means that EC4 has the most compact size and the lightest weight, which is beyond the capabilities of any conventional process.